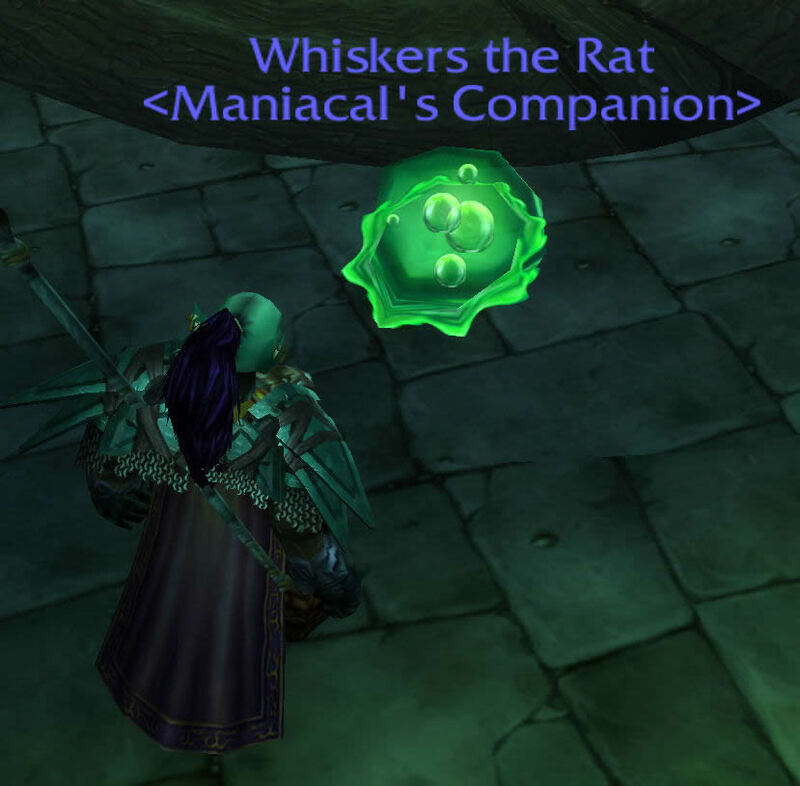 He gives you a potion that turns your pet into a green blob for 90 seconds. 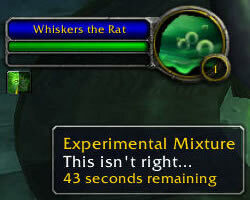 I wonder what happens if you feed the potion to a disgusting oozeling. Lawrence also has a pet kitten named Patchy who seems to enjoy escaping from him. Junior Apothecary Lawrence says, "Patchy?" "There you are, you little miscreant"
"Time to make another Patchy"